Nerves: Weakness. Numbness. Spasms. Trembling. Convulsions. Paralysis. Degeneration etc. 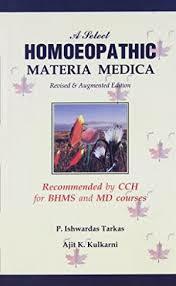 The comprehensive text that explores the hidden treasure of materia medica and adds a new dimension to the systematic study of homoeopathic remedies. A package of uncompromisingly scholarly presentation of 100 remedies offered to the world of Homoeopathic Materia medica, to unravel the hidden treasure of old and new literature, with emphasis on original database, logical interpretation of data, innumerable creative themes, new expanded relationship of remedies and overall a new methodology of remedy presentation. The conceptual framework is structured in an analytical and synthetic way and therapeutic indications have also been provided. For the post-graduate and research scholar, the book will provide ample food to work upon. This work has been provided with several additions, suggestions, clinical tips, expanded relations and glossary so necessary to fathom the intricacies of remedies.